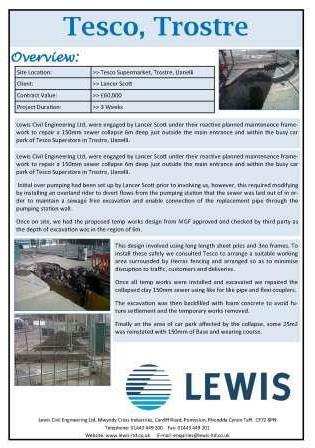 Repair of a 150mm sewer collapse 6m deep just outside the main entrance and within the busy car park of Tesco Superstore in Trostre, Llanelli. 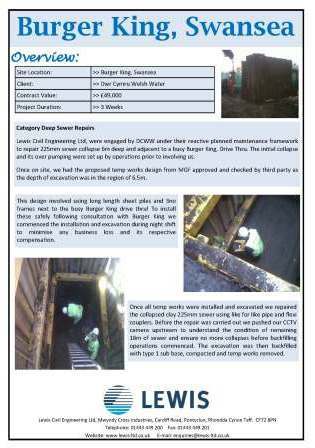 Planned reactive maintenance work to repair 225mm sewer collapse 6m deep and adjacent to a busy Burger King, Drive Thru. 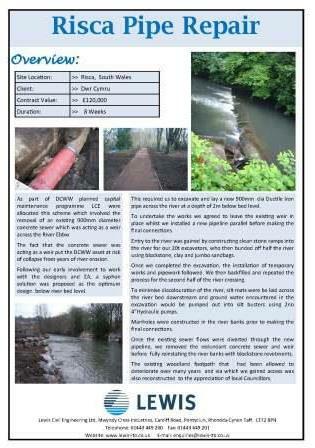 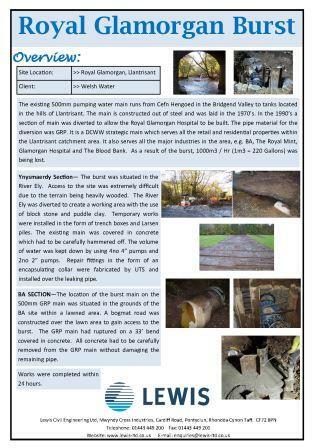 This scheme involved the removal of an existing 900mm diameter concrete sewer which was acting as a weir across the River Ebbw. 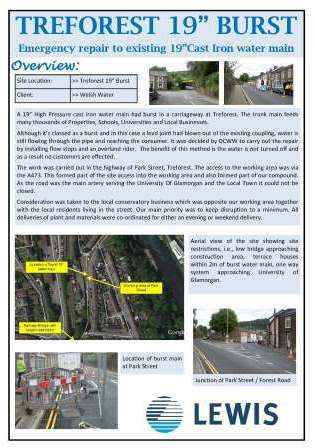 A 19” High Pressure cast iron water main had burst in a carriageway at Treforest. 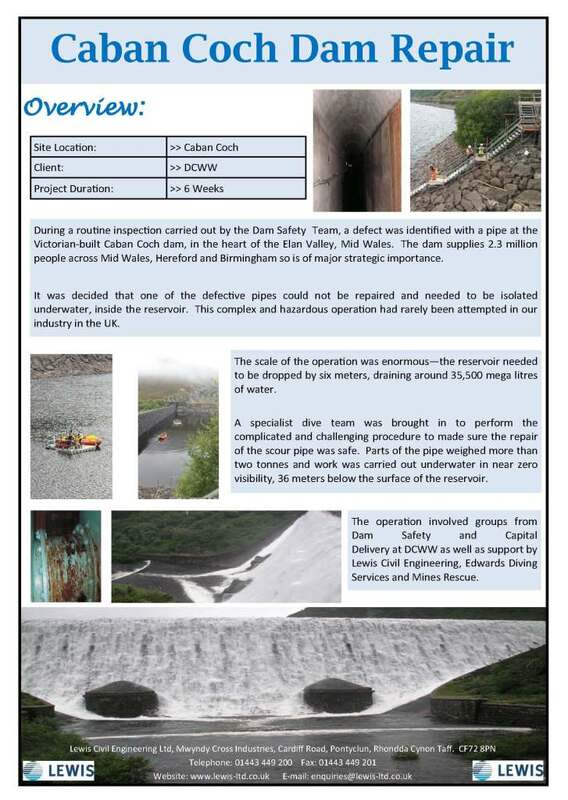 During a routine inspection carried out by the Dam Safety Team, a defect was identified with a pipe at the Victorian-built Caban Coch dam, in the heart of the Elan Valley, Mid Wales.